Microsoft Identity Manager 2016 can increase the security and reduce help desk calls for password management substantially. 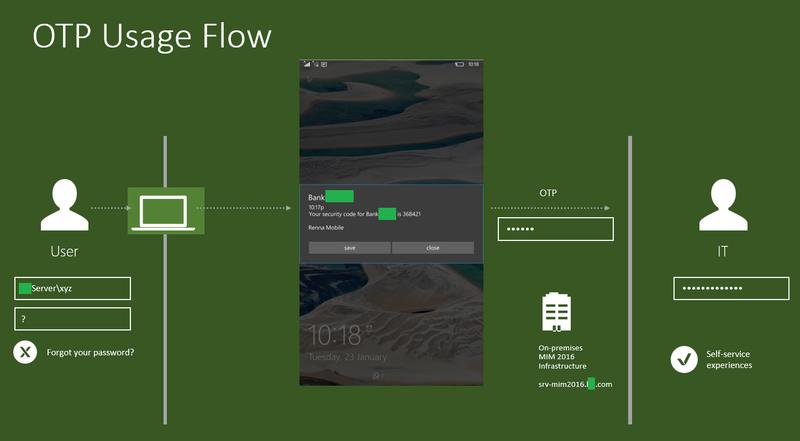 It allows integration of authentication infrastructure with SMS gateway so that users mobile device can be used as OTP device for the password reset, unlock requirements. The windows environment, becomes latest with the industry trend of using One Time Password that is sent using SMS Messages. The last organization where we implemented this technology became a great value to the infrastructure.